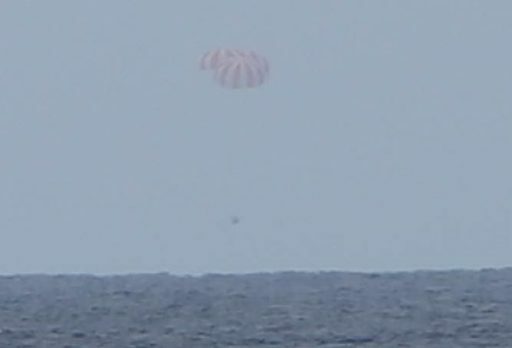 The SpaceX Dragon SpX-9 spacecraft departed the International Space Station on Friday and parachuted to a safe splashdown in the Pacific Ocean after dropping over two metric tons of cargo off at ISS and picking up over one ton of return items, eagerly awaited by scientists and engineers. 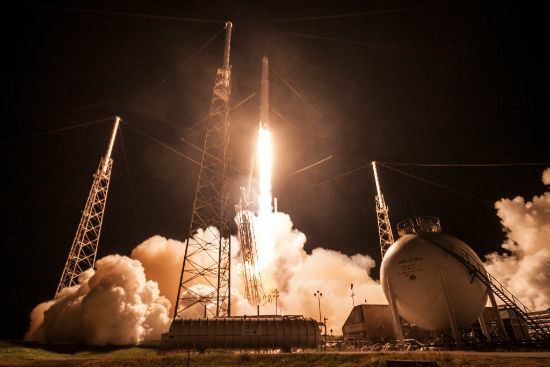 Dragon’s journey into orbit began just over one month ago with a flawless launch atop a Falcon 9 rocket on July 18. 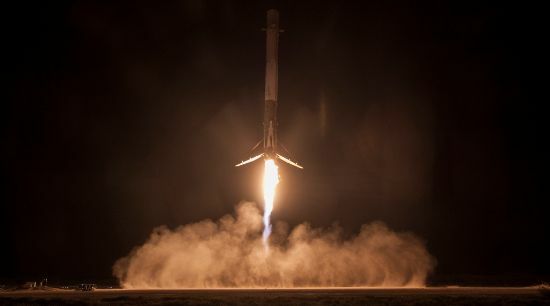 While Dragon began is chase of ISS, the first stage booster managed to complete a boost back to a successful landing at Landing Zone 1, the second Falcon 9 landing at the new Cape Canaveral landing facility. For Dragon, the mission began with a series of maneuvers to arrive in the Station’s vicinity two days after launch, approaching from directly below. Once Dragon held its approach just over ten meters from ISS, the Station’s robotic arm was extended to grapple and then berth the spacecraft to the Earth-facing side of the Harmony module. With the hatch opened later on July 20, the crew had access to 1,790 Kilograms of hardware delivered inside the pressurized section of the spacecraft. Though the science cargo and maintenance items inside the Dragon were of great importance to ISS, an absolutely critical part made its way to Station inside the external Trunk Section of the vehicle – International Docking Adapter 2. The International Docking Adapter has been designed to convert the Station’s Shuttle-era docking ports to the International Docking System Standard that is used by the Commercial Crew Vehicles – SpaceX’s Dragon 2 and Boeing’s CST-100 Starliner – that will begin flying to ISS next year before taking over crew ferry missions to the U.S. Segment for the Station’s last decade of operations. The International Docking Adapter 2, IDA-2 for short, was pulled from Dragon’s Trunk section by the Station’s robotic duo – Canadarm2 and the Dextre robot which then placed it in contact with Pressurized Mating Adapter 2, formerly used for over 30 visits of the Space Shuttle. The mechanical installation and electrical integration of IDA-2 was completed last Friday via EVA-36 conducted by Station Commander Jeff Williams and Flight Engineer Kate Rubins – giving ISS its first docking port for commercial crew vehicles. The arrival and successful installation of IDA-2 was critical after the loss of the first IDA in last year’s Dragon SpX-7 launch failure to avoid a slip in the Commercial Crew timeline. Over the course of Dragon’s month-long stay at ISS, the crew was responsible for unloading 930 Kilograms of science cargo, 370kg of crew supplies, 280kg of maintenance equipment and 127kg of spacewalking hardware. Loaded into the Dragon for landing was a group of 12 male mice that had launched on the vehicle and enjoyed a stay inside the Mouse Habitat, an experiment under Japanese operation to fly live mice to and from ISS for a study of the negative effects of the space environment on multiple generations. Each Dragon also provides a welcome opportunity to empty the Station’s laboratory freezers filled with blood, urine and saliva samples from the crew plus samples from other experiments including cell cultures, plants and environmental samples. Also returning aboard the Dragon is a space suit to undergo refurbishment on the ground. The last time-critical samples stowed in cold bags were placed on Dragon on Thursday before the crew closed the spacecraft out for its return to Earth, tying down all cargo bags and removing ventilation equipment before closing the spacecraft’s hatch. 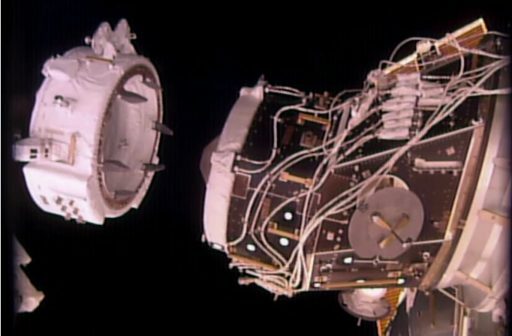 The crew finished the outfitting of the vestibule between ISS and Dragon before closing the Harmony hatch for a leak check. 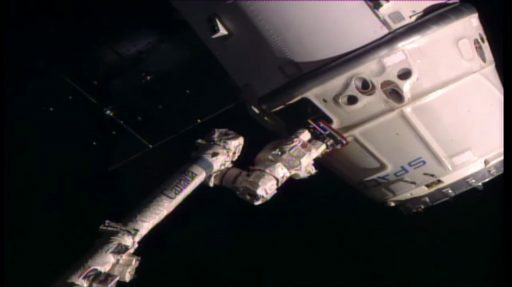 Demating of the spacecraft from the Space Station was completed without trouble and ROBO controllers on the ground carefully moved the Dragon to its release position where it was left overnight – a departure from the previously used procedure that normally saw the unberthing only a few hours prior to the release of the spacecraft. 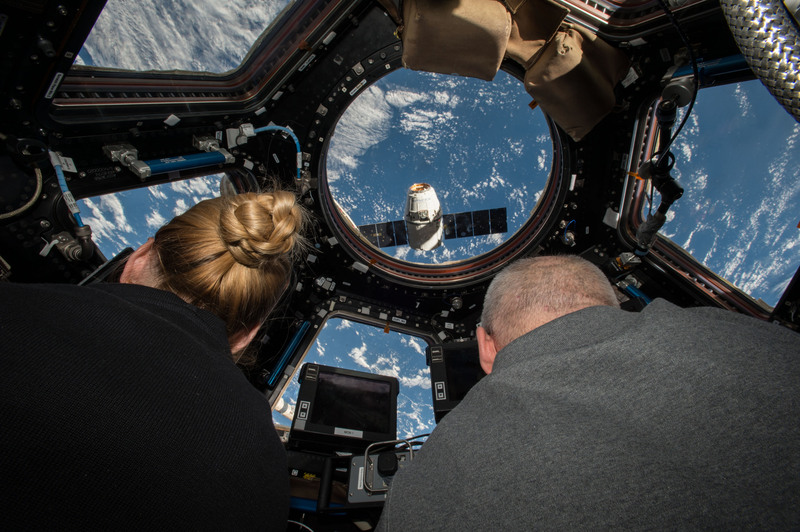 Getting to work on Friday, Astronauts Kate Rubins and Takuya Onishi set up the robotics workstation in the Cupola to be ready to set the Dragon free. 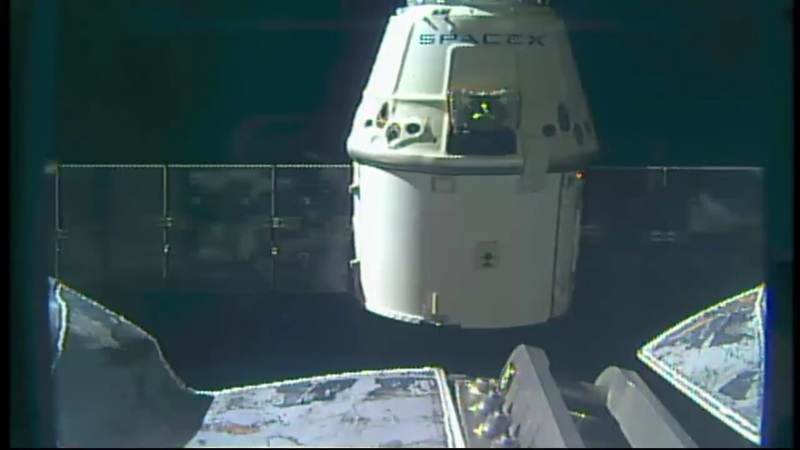 Snares opened and Dragon was officially released at 10:11 UTC with the robotic arm moving to a safe distance from the spacecraft. A pair of departure burns put Dragon on a course down along the R-Bar to depart the Station’s Keep Out Sphere before the third and largest departure maneuver increased the Dragon’s relative velocity, allowing it to pull out in front of ISS. Performing its three-orbit free flight, Dragon completed the final reconfigurations ahead of its re-entry, including the closure of the GNC Bay Door to protect the navigation sensors used during the rendezvous with ISS from the harsh environment of re-entry. Dragon initiated a ten-minute deorbit burn at 14:56 UTC, firing a subset of its 400-Newton Draco thrusters to slow down and drop out of orbit. Slowing down by around 100 meters per second, Dragon entered a trajectory intercepting the atmosphere at a precisely calculated location, en-route to the planned landing site. The Trunk Section was jettisoned around 15:13 UTC, sending the solar arrays and aft cargo carrier to a fiery demise since they do not feature any thermal protection. Dragon itself hit the atmosphere ~15:25 UTC, having entered an orientation with the heat shield facing forward as temperatures increased to 1,600°C. Throughout the Entry Phase, Dragon stabilized itself using the Draco thrusters, also controlling its lift to optimize the flight path toward the landing zone. Slowing down in the dense atmosphere, Dragon reached a speed of 240 meters per second when the Drogue Parachutes were commanded to deploy at an altitude of 13.7 Kilometers. 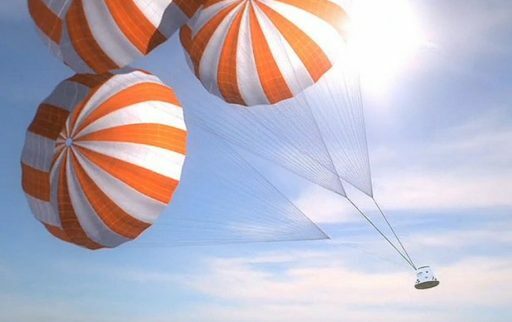 The three main chutes were released at an altitude of around three Kilometers, opening in an initial reefing stage before being fully opened to transition Dragon to a vertical descent and slow it down to 20 Kilometers per hour. 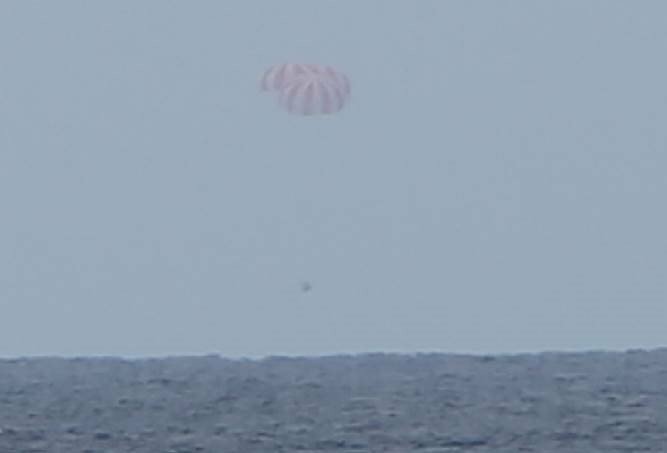 Splashdown – confirmed through SpaceX’s Twitter Feed almost in real time – occurred around 15:47 UTC in the planned landing area around 525 Kilometers west of Baja, California. 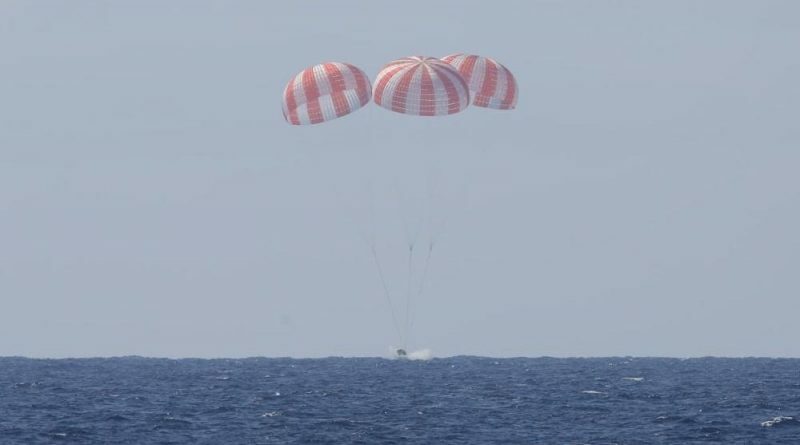 SpaceX recovery forces had been deployed to the Landing Zone well in advance of splashdown and teams were able to track the Dragon in the final stages of its descent. 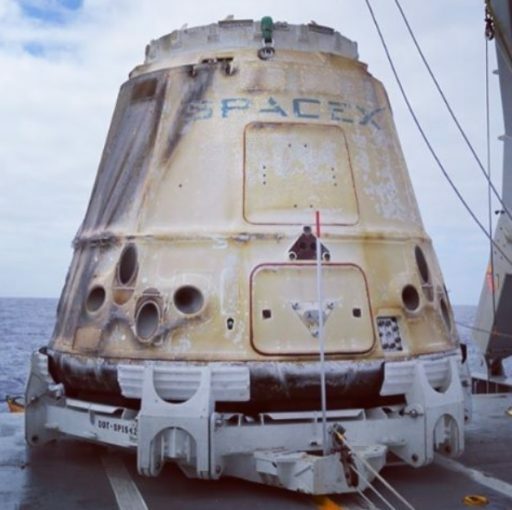 Immediately after Dragon had reached the water, fast boats were dispatched to the floating spacecraft to allow technicians to complete initial safing and hook Dragon up to a harness to lift the vehicle onto a cradle aboard the recovery ship. 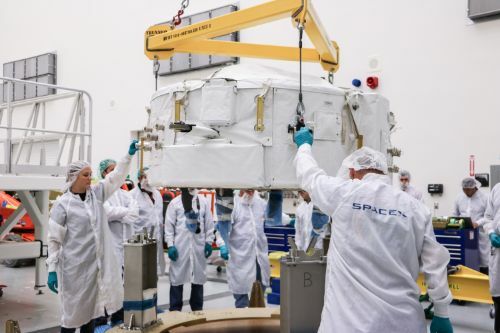 Safing will be performed once Dragon is on the ship, placing the spacecraft on external power to keep up the cold chain required by the various samples aboard the vehicle. 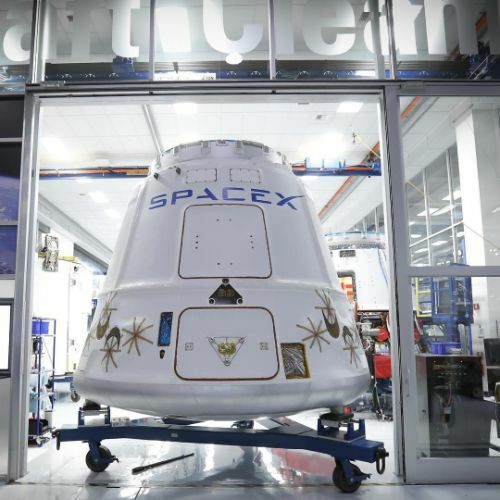 Dragon’s successful landing marks the beginning of a race against the clock as payloads returned in Double Cold Bags need to be delivered to their respective operators within 48 hours of landing – giving SpaceX around 25 to 26 hours to make the trip back to port. The time-critical samples and experiment materials will be flown back to Houston as soon as they arrive on shore, using the Port of Long Beach. The rest of the cargo will be unloaded once Dragon is back at SpaceX’s Texas site for return to NASA over the coming days. 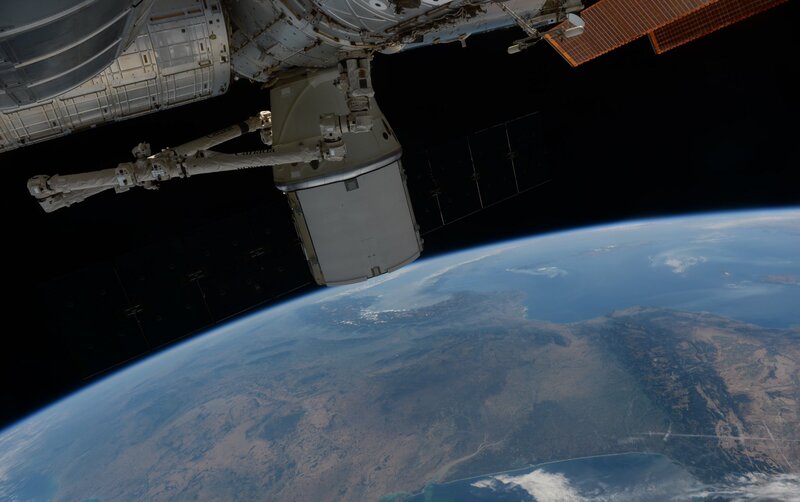 For ISS, a busy period of visiting vehicle traffic lies ahead starting with the departure of Soyuz TMA-20M for an overnight landing on September 6/7. The next crew is set for liftoff on September 23 aboard the Soyuz MS-02 spacecraft and fresh cargo is headed to ISS on the Cygnus OA-5 spacecraft that will mark the return to flight mission of Orbital ATK’s Antares rocket in late September. 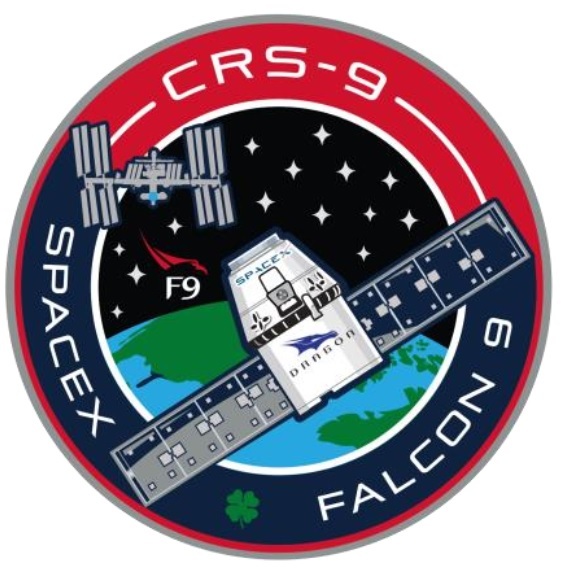 Copyright © 2019 Dragon SpX-9 |Spaceflight101. All rights reserved.